Home » TV » Agents of SHIELD Season 5: Did a Marvel Rep Leak That Blade is Coming? 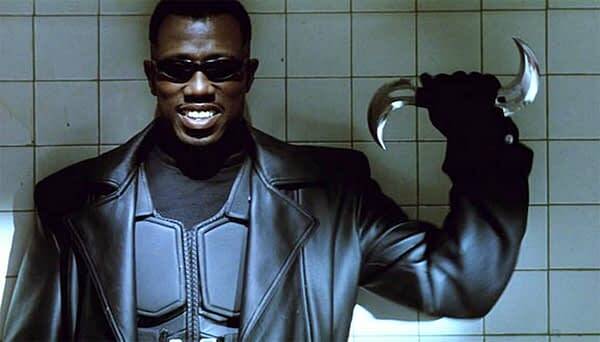 There has been a rumor going around that Marvel will be bringing Blade to Agents of SHIELD. This might’ve seemed far fetched prior to last season, but after introducing Robbie Reyes aka Ghost Rider and the Darkhold, Blade seems perfectly reasonable for the series that is currently set in the future post destruction of Earth. But is there any merit to this rumor and would they find a new Daywalker or bring back Wesley Snipes? He neither confirms nor denies any of the rumors or mentions if he had been approached, just laying claim to the role he made famous outside of comics. Cink later came out and said that her tweet wasn’t giving anything away, that she included the hashtag because Jeff Ward is a huge Blade fan. Her tweet and follow-up explanation tweet has since been deleted. The fate of Blade remains a mystery.